Patrol – Patrol Just Launched a Kickstarter! We’re stoked to share this campaign with you, because it’s about something we’re passionate about and which we think you’re passionate about, too. And we’d love your support, especially today. Getting an early momentum is vital for a Kickstarter to succeed, so if you’re thinking of participating, now is the time! Racism is a very real issue which every child will encounter sooner or later. 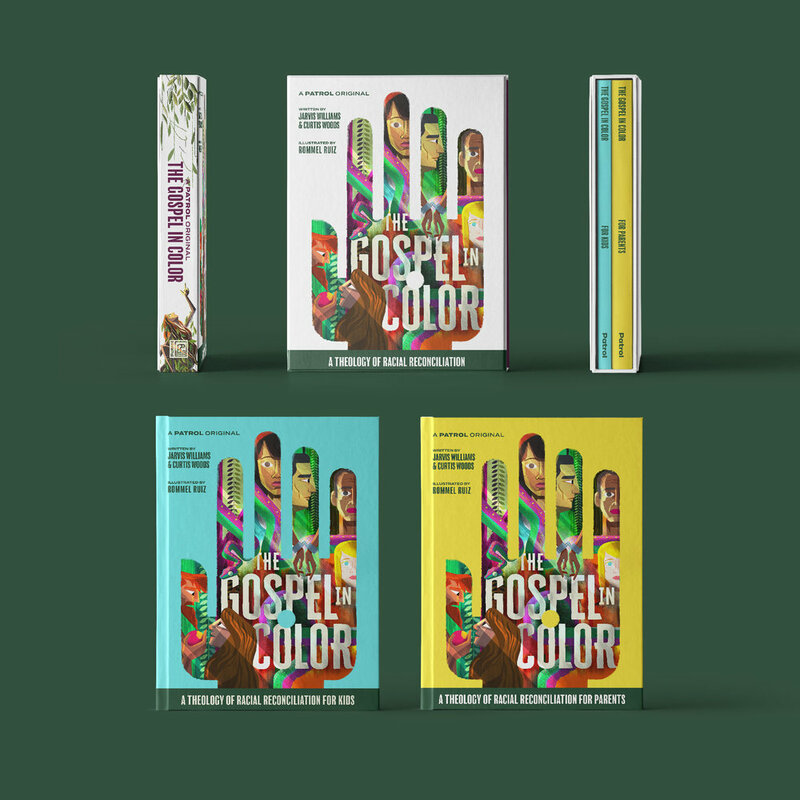 That's why The Gospel in Color — For Parents and its companion The Gospel in Color — For Kids are designed to equip parents and kids to have helpful, honest conversations on this vital topic. The Moonman Cometh is a children’s Christmas fantasy unlike any other, vividly told with rich illustrations and an engaging narrative. This book depicts the story of a boy and his dog as they seek to save their dying Christmas tree farm. Just when all hope seems lost, the boy has a fateful encounter with a mysterious being who brings him a gift greater than he could ever have imagined. This captivating tale provides a thoughtful way for parents and children to celebrate the redemptive power of who Jesus is and what he came to do. Back the Kickstarter at any level and you’ll get some fun rewards, and you'll know that you’re helping Patrol put gospel-themed books into the hands of readers! Tell your friends, neighbors, distant family members, strangers, and local congresspeople about the Patrol Kickstarter! Share this blog post, post on social media, make a homemade banner and hang it from your roof — any way you can support us and help get the word out is so, so appreciated!